For a couple of weeks now I am using a DJ Control to handle my SDR. It is much more comfortable compared to working just with mouse and keyboard. An user interface, written by Tobias, DH1TW makes it possible to combine the benefits of a software defined radio with the comfort of an analog transceiver by pressing buttons and turning knobs. Most of the control elements of PowerSDR like command buttons or sliders can be mapped to knobs and buttons on the DJ Control by the user. Of course I use the big knobs for VFO A and B. The one in the upper left is used for the RIT. The sliders in the center are mapped to control the gain of the headphone and the speaker. MOX, TUNE, CW, SSB, VFO switching and others have been mapped to real buttons. My FLEX-1500 is mainly used to operate transverters for 1296 and 2320 MHz. The Interface works well on all microwave configurations up to PowerSDRs limit of 99.0 GHz. Visit DH1TWs website for more information. 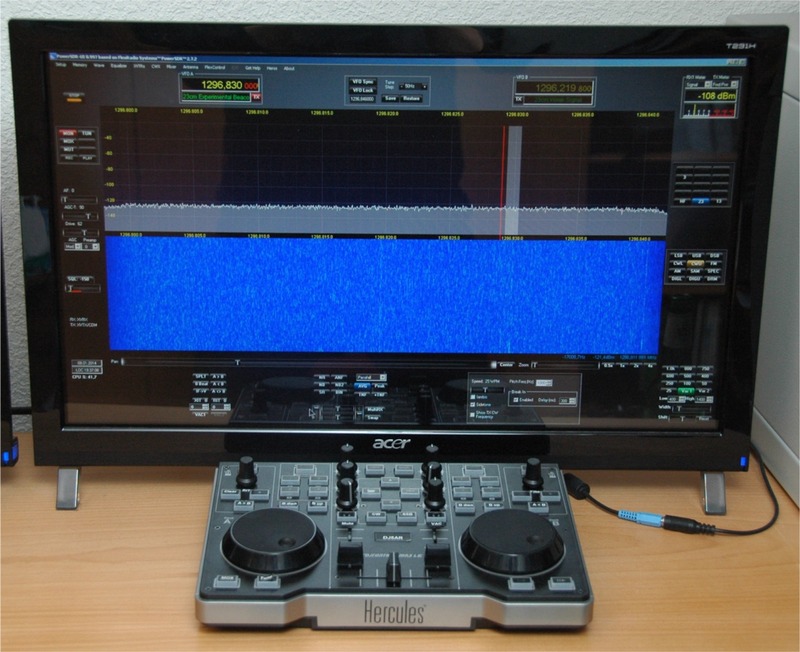 This entry was posted in Equipment and tagged PowerSDR, SDR on 2014-01-09 by admin.